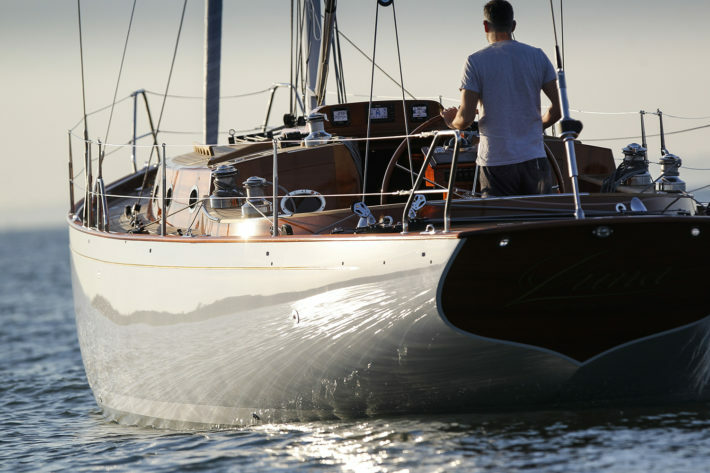 If you design boats without following the fashion, they’re never going to become outmoded. 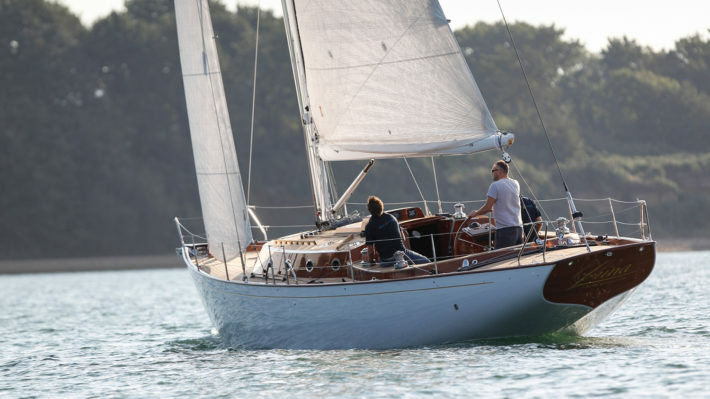 “Timeless” is the adjective that best describes the craft built by the British boatyard Spirit Yachts, founded by Sean McMillan in 1993 and now famous all over the world for its modern classics, i.e. 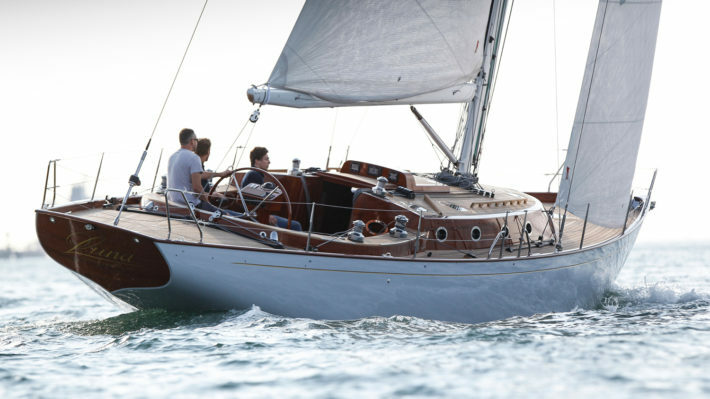 boats with a retro look but an advanced technological heart. 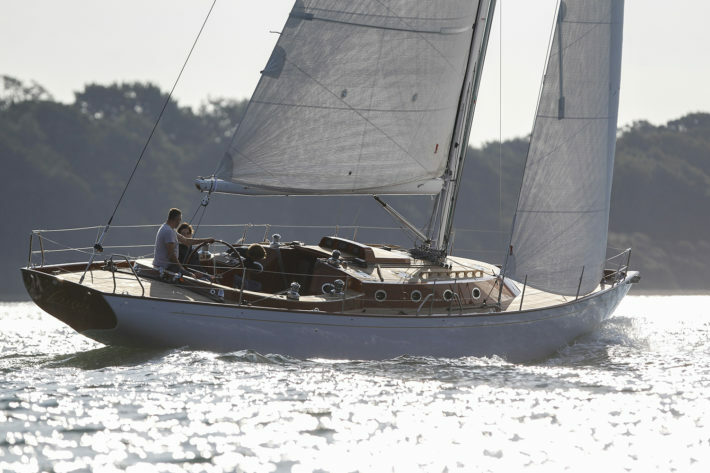 Each yacht is a beautifully made one-off piece, built from high-quality timber from sustainable sources. 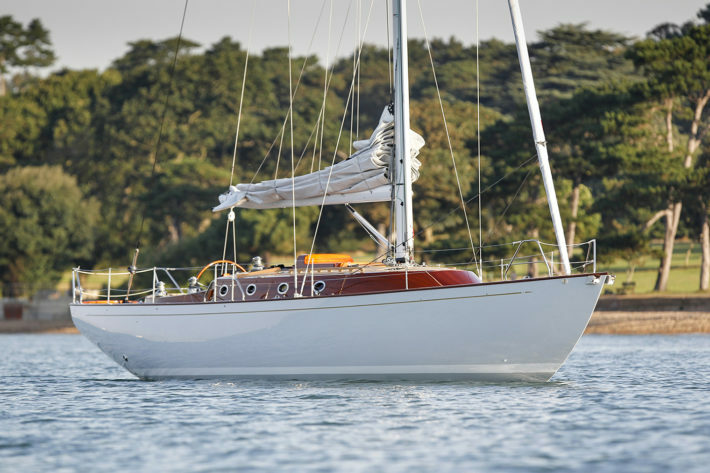 The Spirit 50 CR (with a length of 14.95 m/49’ 1”, a beam of 3.50 m/11’ 8” and displacing 8.2 metric tons) is an elegant craft designed for people who like to cover long distances under sail, without renouncing comfort and ease of handling. 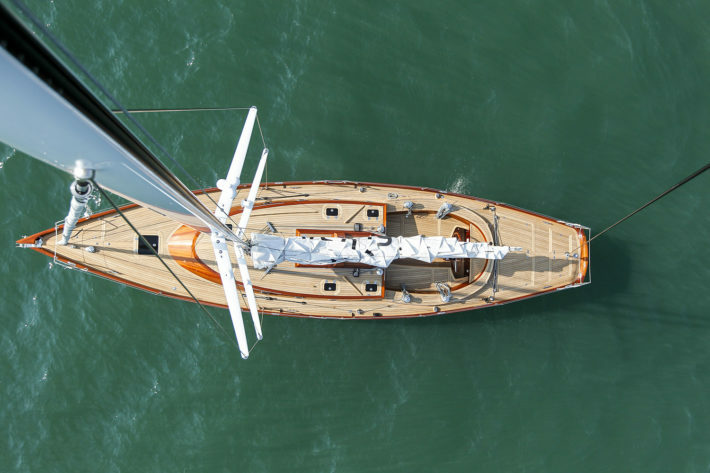 Attention is paid to the smallest details in the rig and the combination of classic and modern is evident in the traditional lines of the hull and deck (characterized by an expert use of wood: mahogany and teak), coupled with carbon-fiber mast and boom and state-of-the-art Nitronic rod rigging (a special ultra-strong steel alloy reinforced with nitrogen). 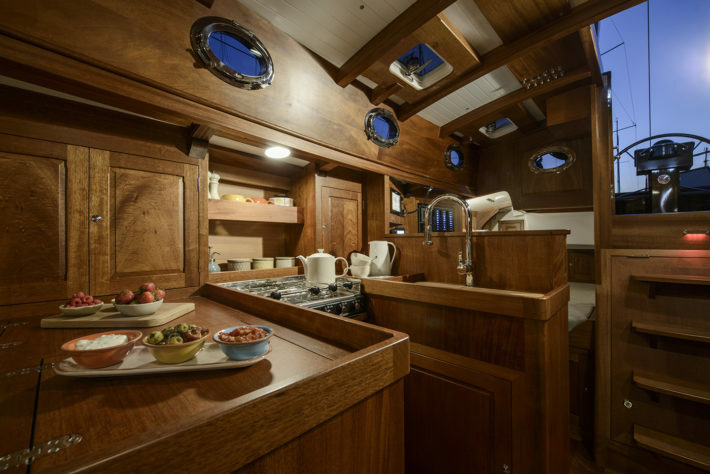 Aft of the characteristic curved cockpit, from where all the rigging is controlled (and where the steering gear is located, with a wheel of mahogany and stainless steel), is set a spacious sundeck that becomes an ideal area for relaxation, under sail and at anchor. 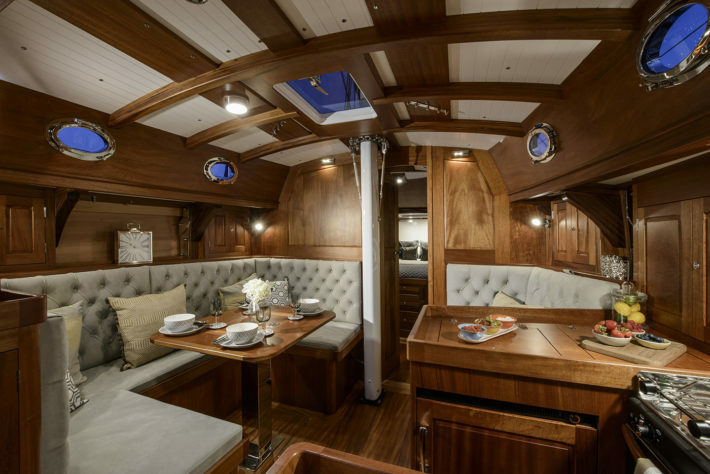 Generous spaces and an uncluttered deck make it possible to sunbathe in comfort even in the bows. 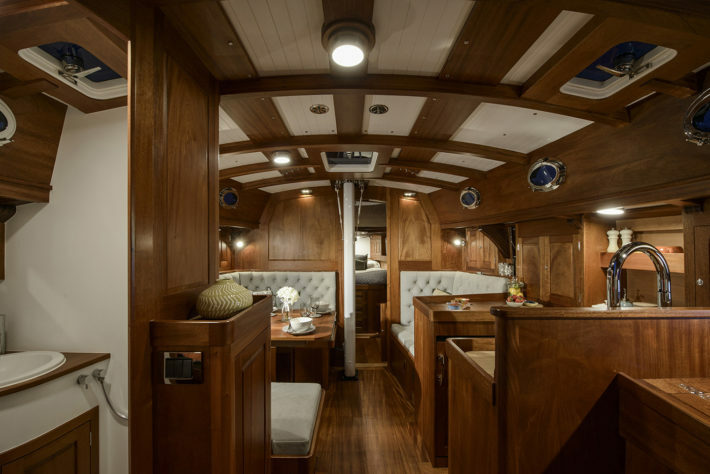 Below deck, the owners’ suite is forward, fitted with a king-size bed and bedside tables: great care has been taken over illumination, with reading lights and soft lighting for the evening. 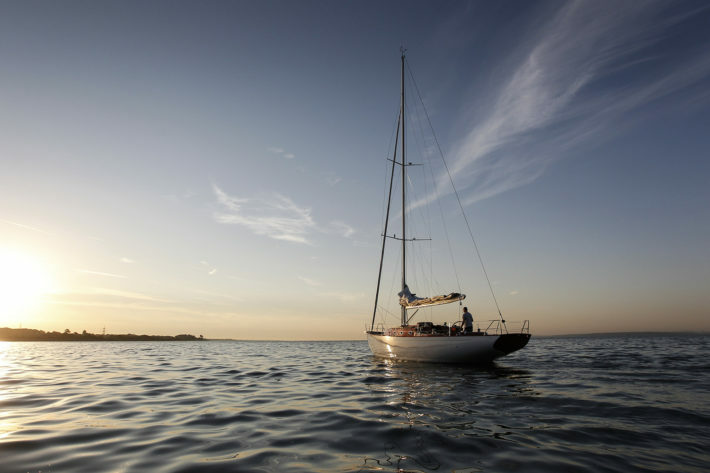 The bathroom with a separate shower cabin is designed for comfort and ventilated by means of dedicated hatches. 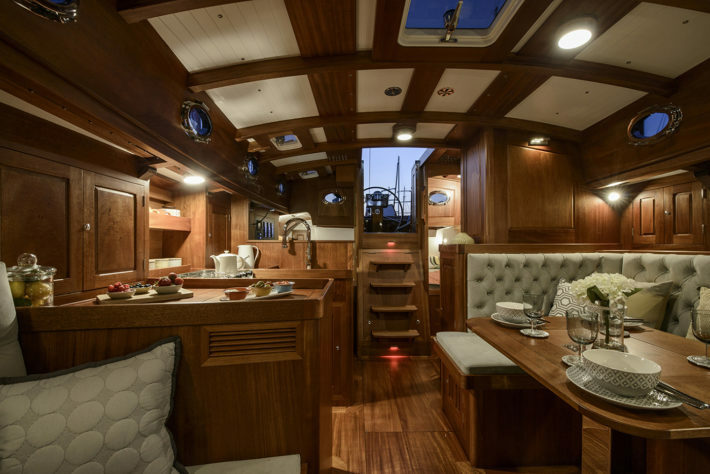 In the saloon, which houses the central table with seating for six plus a couch on the starboard side, there is also a galley equipped with a 100-liter fridge, a three-burner gas hob with grill and oven below and a double sink with a mixer faucet. 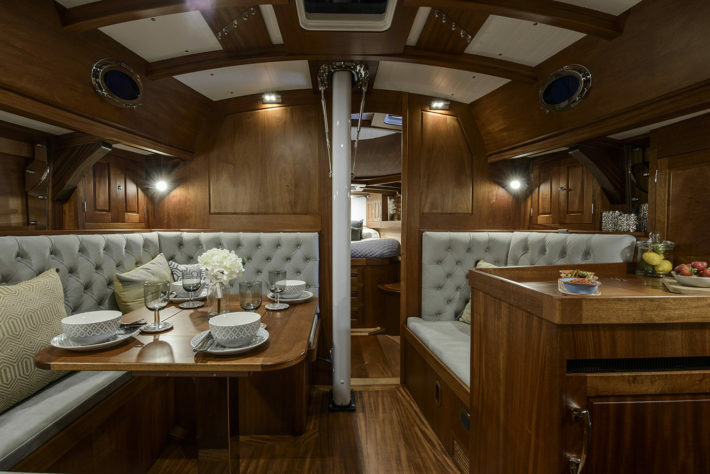 The boatyard offers custom-built stowage for cutlery, crockery and utensils supplied by the client. 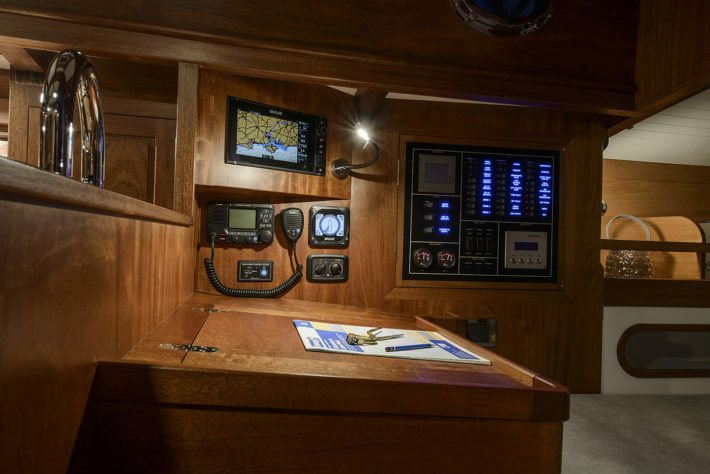 Aft, and again to starboard, there is a practical chart table from which it is possible to access all navigation instruments and data. 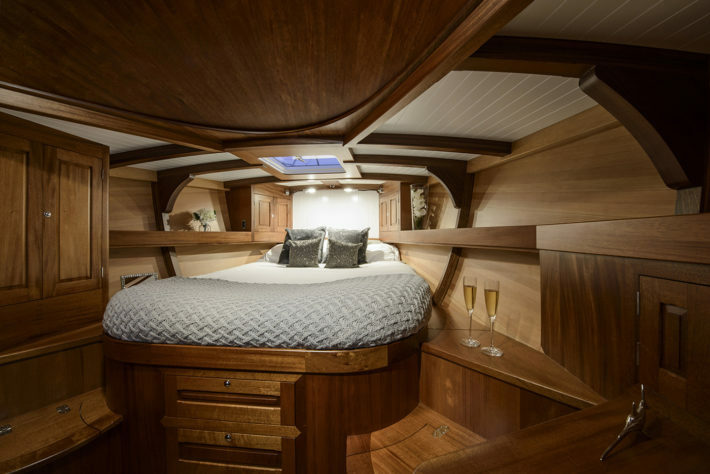 The guest cabin in the stern has a queen-sized bed with bedside shelves, overhead and reading lights and a full-height wardrobe. It is served by a bathroom with shower, basin and head. As a boy he wanted to be a journalist. 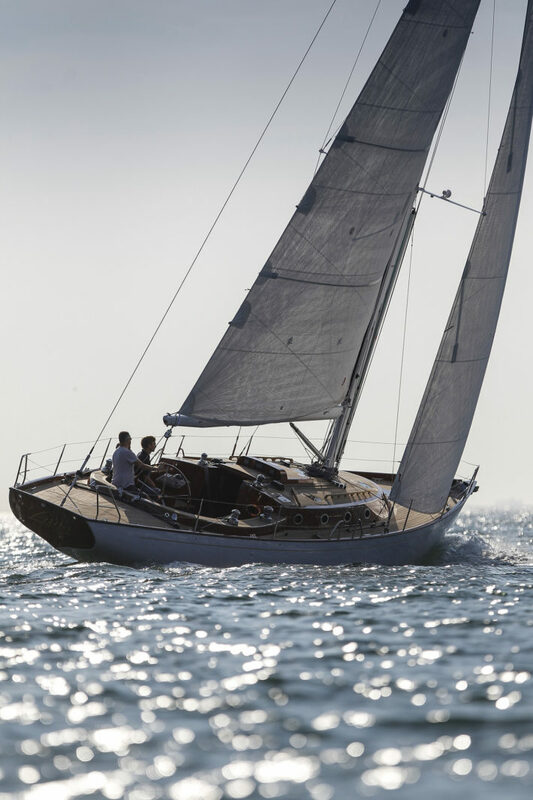 Then he discovered sailing (first racing boats, then as an instructor and finally cruising), and it was love at first sight. So he decided to unite his two passions. 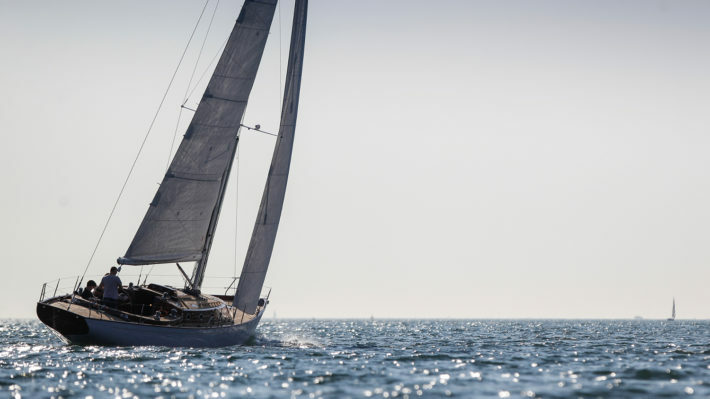 For years he has been working for Il Giornale della Vela and, more recently, for the magazine Barche a Motore as well. When he’s not on a boat, he plays the drums, cooks and goes hunting for mushrooms.